It’s a gorgeous day in Glasgow when I board the train for two days at #OER16. It’s an equally gorgeous day in Edinburgh when I arrive, and there’s a bit of an odd feeling that goes with spending two days inside a conference centre when it’s so sunny. 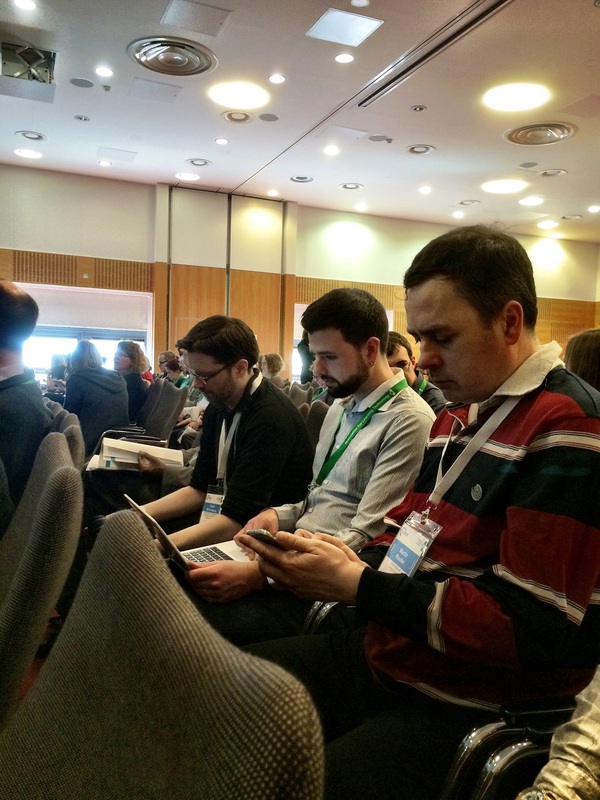 Thankfully, Arthur’s Seat is within viewing distance, and with a conference programme that’s more packed than a packed thing, I’m not grudging it at all.. Kicking us off, @catherinecronin‘s plenary strikes me with the discussion of the role of social justice in, and the effect of privilege on, open. 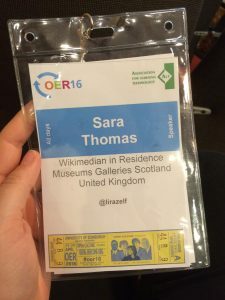 It’s a prescient reminder that open (however we define that) isn’t a panacea, and isn’t exempt from the effects of IRL inequality – certainly, working with Wikipedia has taught me that. I came to the world of open as a Wikimedian, via fundraising and event management. My project is/was supposed to focus on GLAMs and the cultural sector, but increasingly I’ve had contact with Universities. 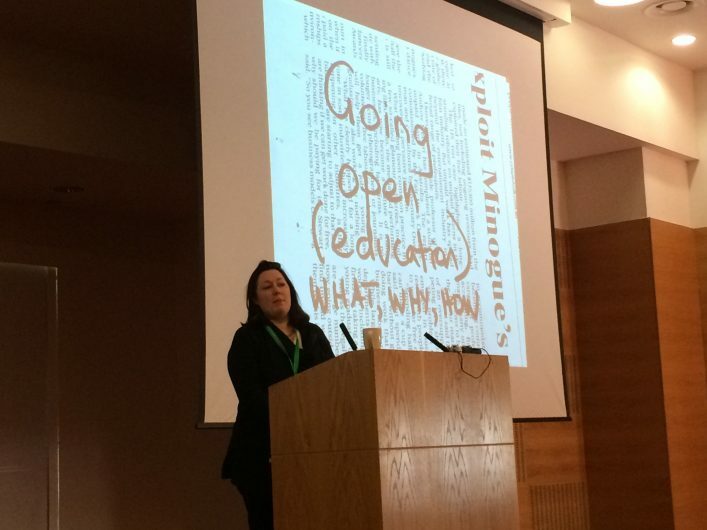 So it’s interesting to see then that @lcromptonreid, our CEO, says during her presentation on Tuesday morning that one of the focus areas for Wiki UKs new strategy will be education. (One of my teacher friends responds to the tweet with cheers.) And as @jimgroom says next morning, Wikipedia is the greatest single open education tool the world has ever seen. At lunchtime my colleague @emcandre (resident at the University of Edinburgh) runs a wiki training session, and then I nip off to hear @gillhamilton from the National Library of Scotland (which hosted Ally Crockford, Scotland’s first ever Wikimedian in Residence) discuss their Gaelic Digital Assistant project. 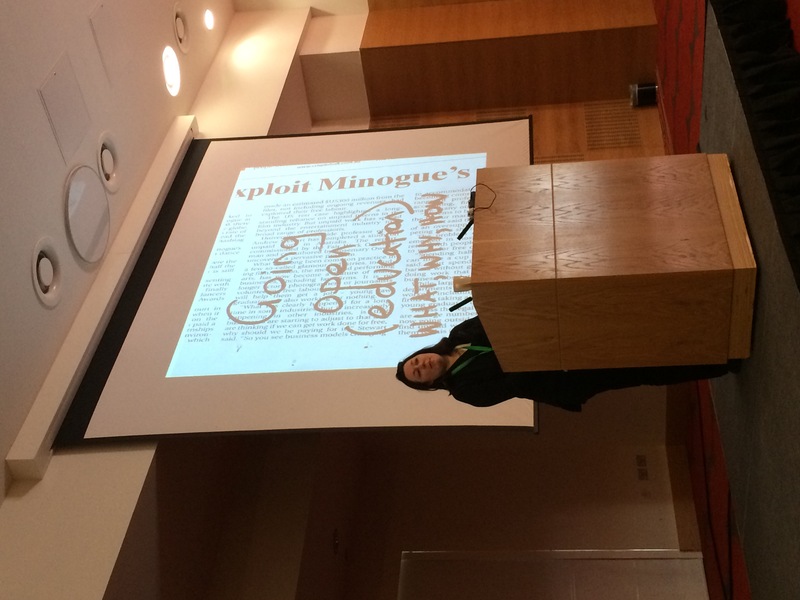 @scallyjj, also of NLS, is the closing plenary this afternoon, talking about the Library’s open policies. NLS is an example I often use when talking to GLAMs about digital and open policy – they really are doing great work. The afternoon sessions also include @emhaston talking about the Royal Botanic Gardens of Edinburgh’s herbarium collection – this is a truly wonderful collection, and a great example of how digitisation and preservation go hand in hand. There’s rich potential in the interface between heritage and education – open practice without content is only half a story. The involvement of organisations like NLS and RBGE are absolutely crucial if we’re to effect real culture change in the culture and heritage sectors. 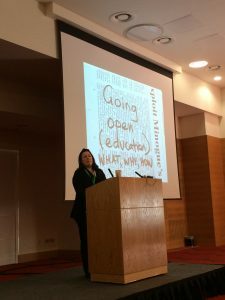 It’s a sector that I’ve found to be hugely enthusiastic about the possibilities of open, but which often lacks the skills or confidence to take it forward. We absolutely need these kinds of organisations to lead the way.